My Dad by Anthony Browne*. 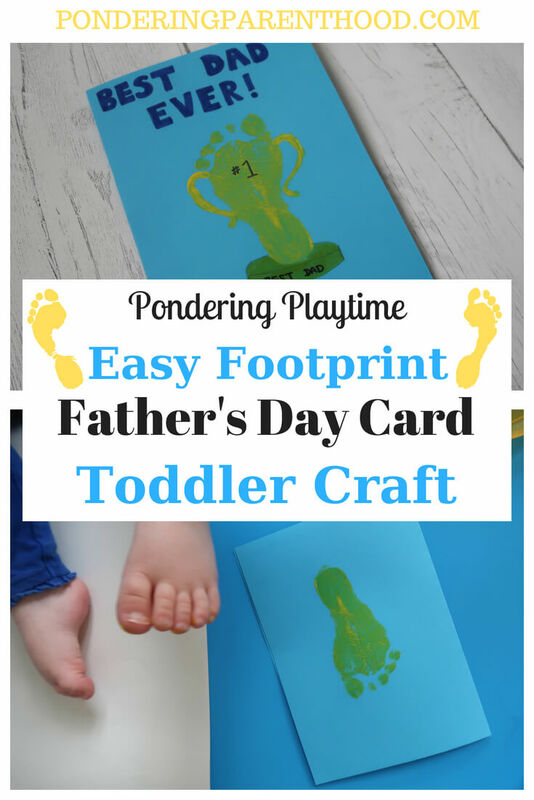 With Father’s Day just over three weeks away, I thought it would be nice to share this easy footprint craft, which makes a lovely Father’s Day card. My Dad – What’s the Story? 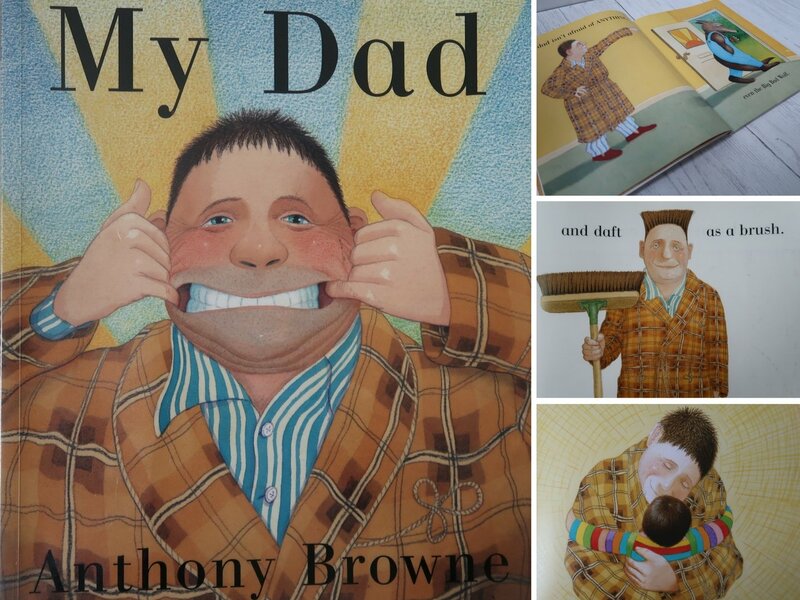 My Dad is an Anthony Browne picture book, which complements My Mum, the book I shared with my Mother’s Day craft activity. It’s not really a story as such; more a series of clever similes which share the different facets to Dad’s character. 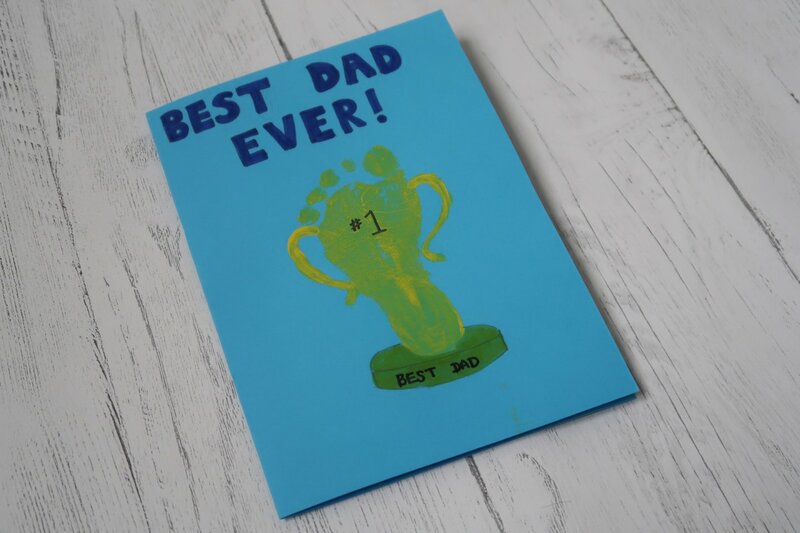 One of the pages in My Dad depicts the dad in the book coming first in the dad’s race at sport’s day, so I thought it would be nice to turn M’s footprint into a trophy for the best dad. 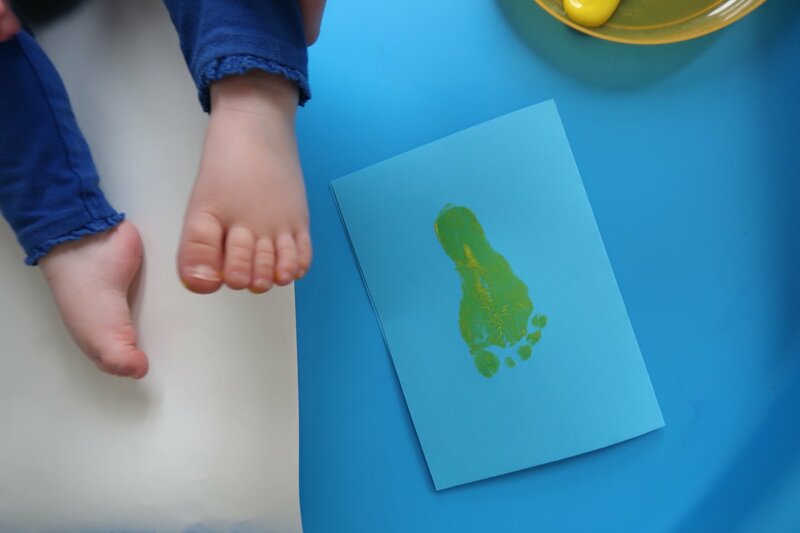 I simply used a paintbrush to paint M’s foot yellow, then printed it onto a piece of A4 coloured card that I’d folded in half. M has only just turned two, so I painted the handles and base of the trophy and added the finishing touches, but older children could definitely do that themselves. M loves reading My Dad. I’ve caught her flicking through it of her own accord on multiple occasions, and I think that’s testament to Anthony Browne’s detailed and humorous illustrations. A copy of My Dad would make a great Father’s Day present alongside this card, if you don’t already have a copy. 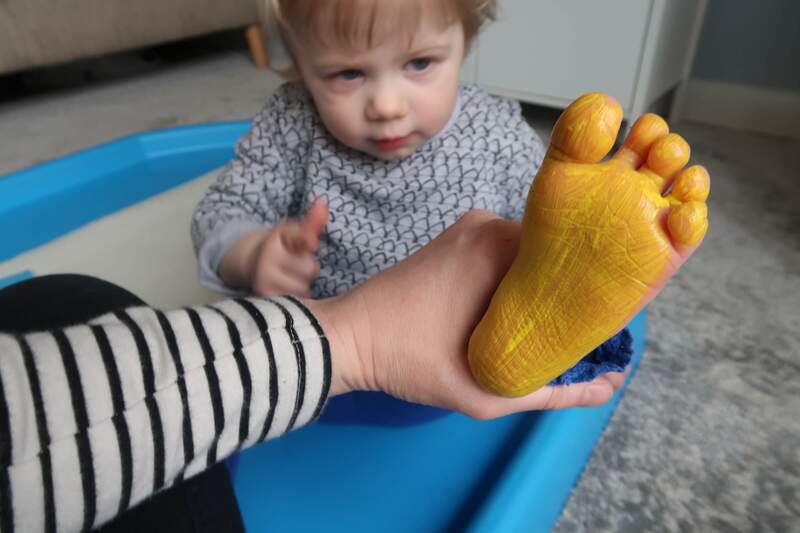 As for the craft, M loves having her feet painted and will often ask to make footprints anyway, so this was always going to be a winner as far as she was concerned! It’s also a lovely keepsake to see just how small her feet were at this age. 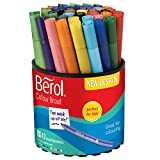 My artistic talents are hardly extensive, but I think my finishing off is pretty acceptable, so an older child would definitely be able to do the whole thing themselves. "Quinny Zapp Flex Plus Review"